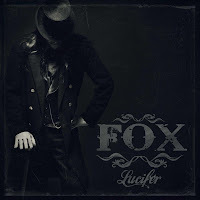 Rock & Metal 4 You: CD-Review: FOX - "Lucifer"
One year ago, former Shakra-singer Mark Fox released the first album with his new band FOX. Since then, many things have changed, because on the new record "Lucifer" Mark comes along with a completely new line-up. All original band members were replaced, due to personal issues. For most bands such a change is a disaster, but for FOX it is a true blessing. Let me tell you why! FOX' debut album "2012" was a double-edged sword to me: On the one hand you had a bunch of Hard Rock hits, which stuck in your head for weeks. On the other hand there were also lots of fillers on the record, just a solid production and a weak musicianship. The band did not feel very professional. Prepared to other gifted players in the Swiss Hard Rock scene the musicians couldn't impress me much. It seems like Mark Fox also recognized this and so he fired his old band mates and replaced them with three very skilled musicians. This was the best thing that could have happened to this band. But not only the musicianship has increased, also the songwriting is much better now. You won't find any fillers on this album. All songs are well-crafted Hard Rock hits and the best thing is "Lucifer" delivers so much variety within the genre - every song sounds different. Highlights are the pounding rocker "The Answer", the stadium anthems "Wonderland" and "Gimme Your Love", as well as the fast neck breaker "Hang On Ruby". The latter is one of the best Hard Rock songs I've heard in years, it has so much groove, so much melody and it rocks as hell. Especially here you see how tight the musicanship is. Such an amazing song would not have existed with the old band. Of course that's not all, for sure you'll also find the traditional, radio-friendly midtempo-rocker on this album. "I Can't Sleep" should please every Bon Jovi or Gotthard fan. Further, there are three ballads on "Lucifer". This might seem way too much, but they don't sound similar to each other and not too cheesy. "Too Young To Die" is the classic power ballad, while "Nothing To Loose Tonight" has that kind of bluesy pub feeling in it and "Back For More" is a typical track for the campfire. The catchy "Lucifer" and the darker "I'll Do It Alright" round off this enjoyable album. Speaking about the four musicians I can only say that Mark Fox delivers his best vocal performance to date and also guitar player Tom Naumann takes each song to the next level with his amazing guitar parts. Markus Kullmann (Drums) and Alex Jansen (Bass) ensure a tight rythm section, which is very voluminous. All this is refined by the fantastic production of Dennis Ward. When you hear this name, you already know what you can expect and Ward doesn't let you down. A very earthy, clear, but punchy prodution is the result. So, you guys already know where this journey takes us? I've nothing to complain about. 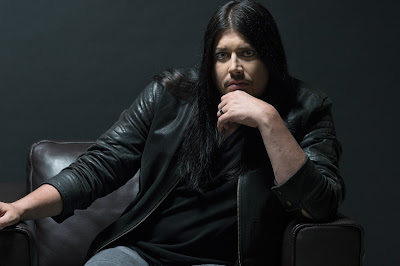 Mark Fox has improved on everything, whether if it comes to songwriting, vocals or bandsound. "Lucifer" is such a strong, classic Hard Rock album, I never expected. It has the punch, the catchy melodies, the groove, the balls, the dreamy ballads, tight musicianship, big hooks, a remarkable voice, variety and a fantastic production ... simply everything you love about this genre. So what are you waiting for? This is a MUST HAVE for each one of you and maybe the best traditional Hard Rock album this year!